The promise of good weather was music to everyone’s ears as the large cyclone that had been moving close to Madagascar began to dissipate resulting in clear blue skies. 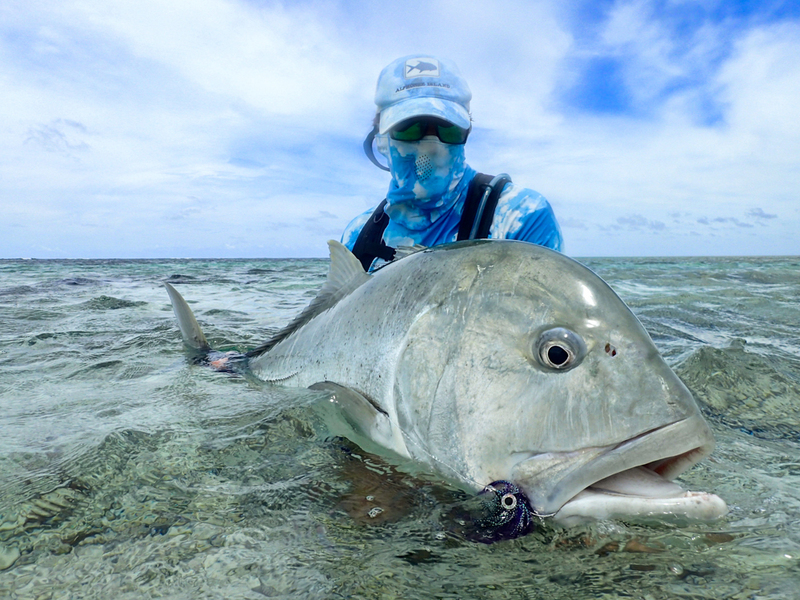 The tides were ideal with a spring tide drop in the morning, which triggered some great Bonefish sessions. 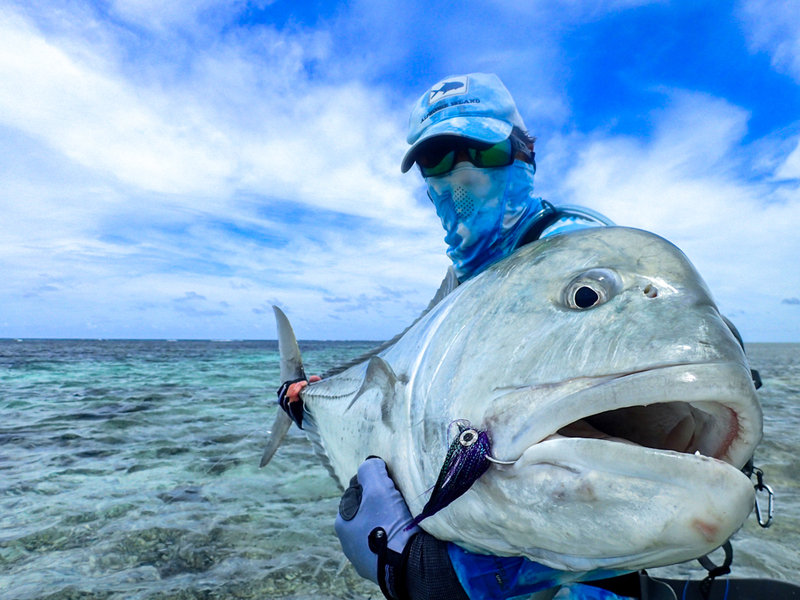 As the week progressed the tide slowly moved into a neap cycle enabling the anglers to fish the finger flats that span the width of the atoll for numerous fish including the highly sought after Triggerfish and GT’s. 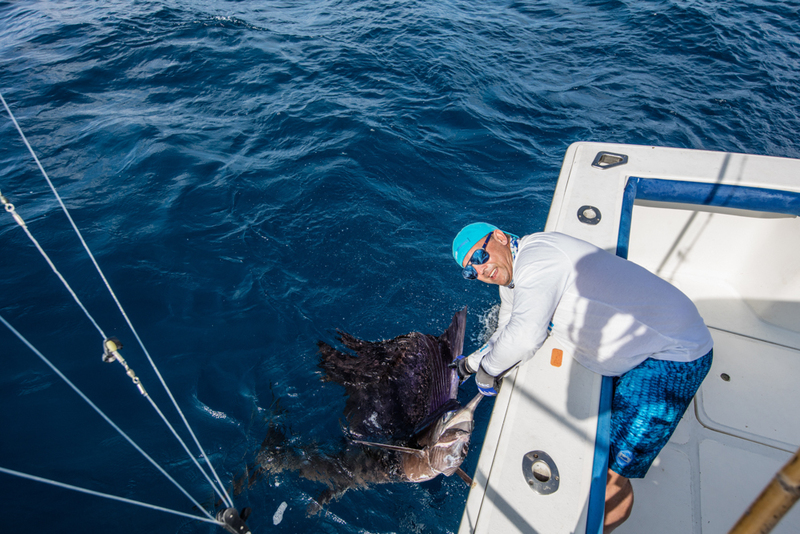 Lately, we have had large congregations of Baitfish just off the western surf zone attracting an array of predators like Tuna, Sailfish, Wahoo and various species of Trevally. 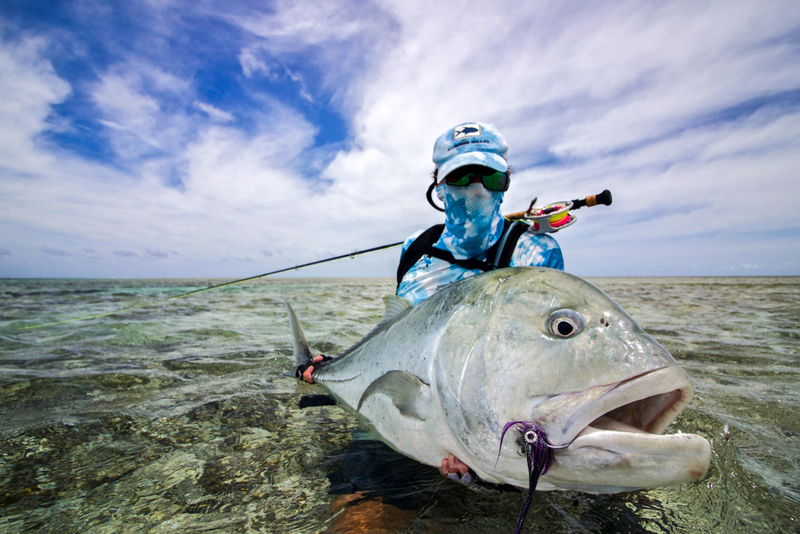 At times the attacks have been frantic which presents some great opportunities for big fish. 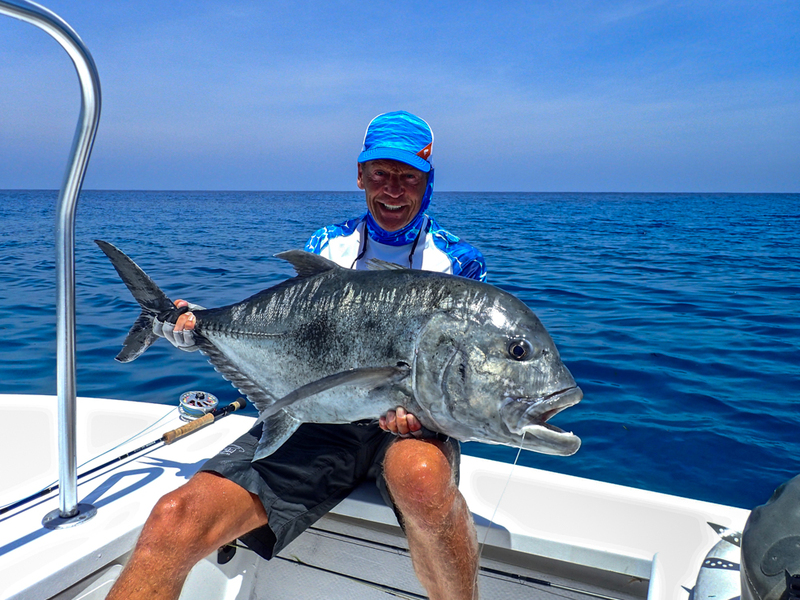 Helmut Z joined us for a few days while passing between Cosmoledo and Astove and in just two blue water sessions Helmut managed to amass an impressive two Sailfish and six Wahoos. 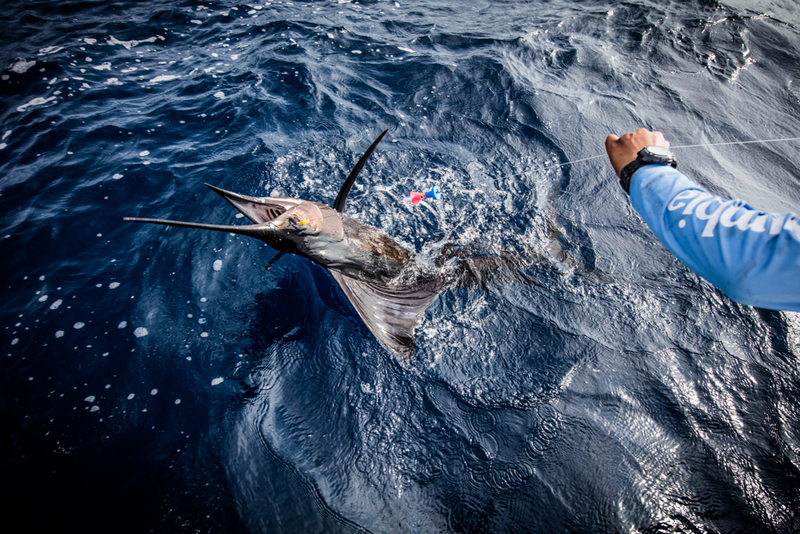 A total of nine GT’s were caught for the week with one real monster landed by Ron B. 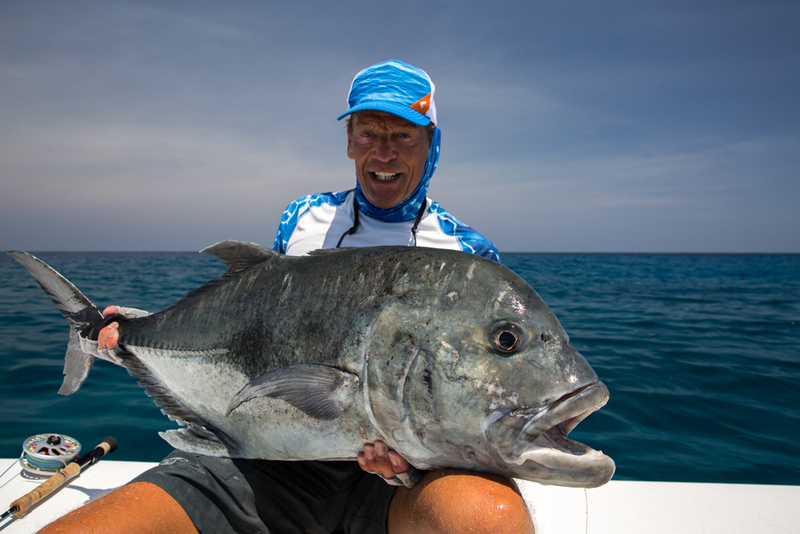 This fish is certainly one that will not be forgotten as a 116 cm GT in the surf, on foot, and without a reel handle is by no means an easy feat. 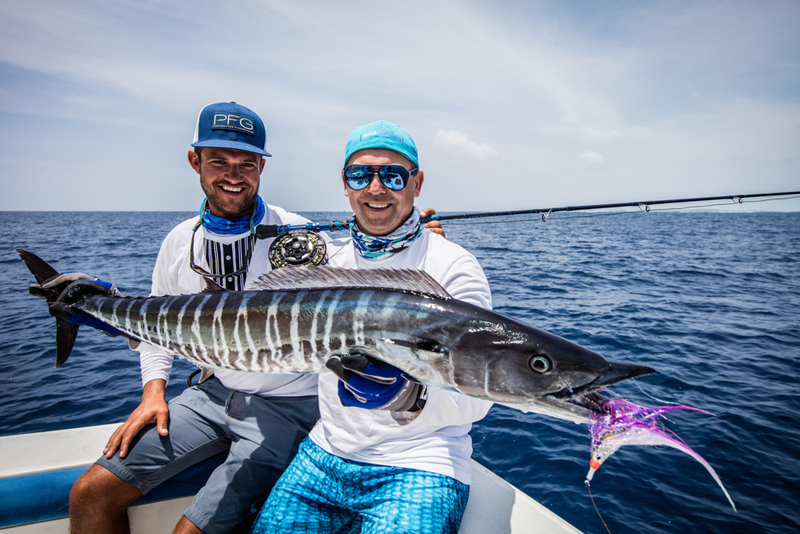 Angler and guide came together and improvised to make a makeshift handle out of a brush fly which resulted in a won battle. 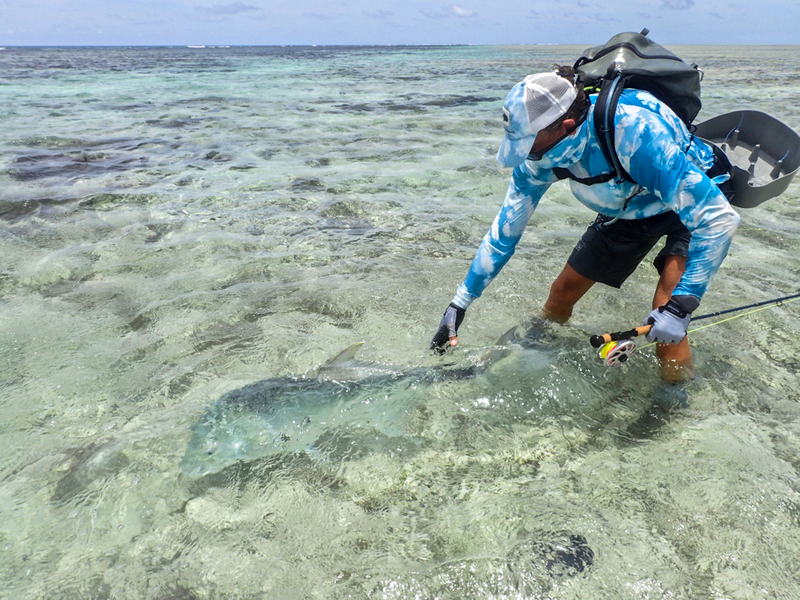 Ron was however not finished as he ended the week with a total of four GTs, one of which measured 99cm and was accompanied by a Triggerfish and Bonefish on the same day qualifying him for a “Flats Slam”. 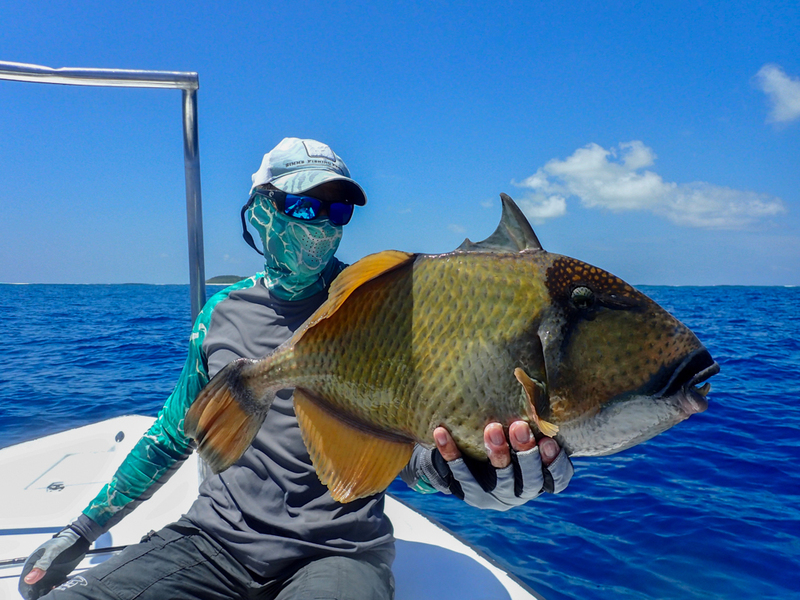 The triggers were around in great numbers and despite being unlucky and losing a bunch after some short tussles, a total of two Moustache Triggerfish and two Yellowmargin Triggerfish were landed by James B, Michael A and Hanspeter T.
The calmer weather has allowed the Milkfish to once again feeding in small groups just offshore. On the very final day, Rob G went on the hunt for Milks and managed to land a stunning specimen weighing roughly 20 lbs. 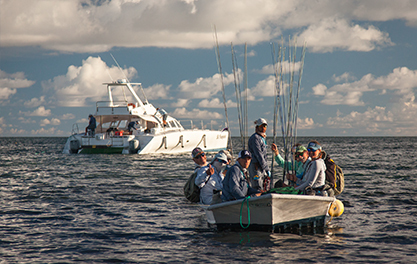 The end of the week tally was and impressive 328 Bonefish, 4 Triggerfish, 9 GT’s, 1 Milkfish, 6 Wahoos and 3 Sailfish.